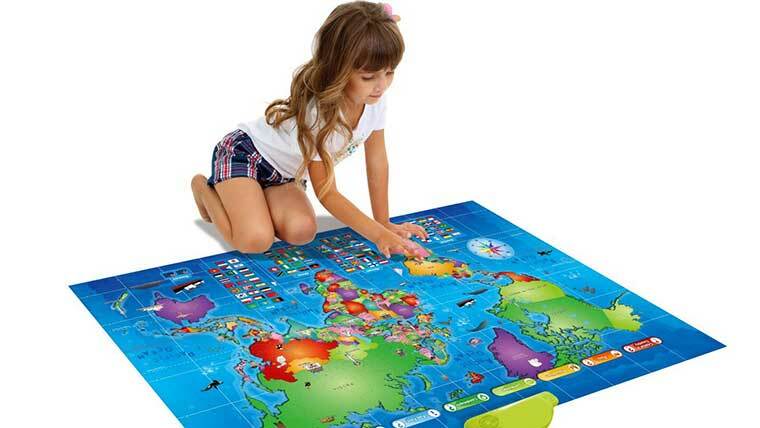 A talking interactive world map with countries and states is a great way for kids to learn geography. It features over 1000 educational audio facts and games for kids to test their knowledge. Kids will be able to identify over 92 countries, their capitals, flags, languages, populations, landmarks, and more. It’s great for kids in grade school, preschool, and kids that are homeschooled. This interactive map is a great way for kids to learn geography and about other countries. 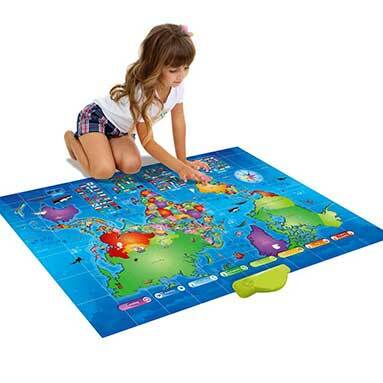 This educational gift will help them learn capitals, flags, languages, landmarks, and fun facts about each country. This toy is recommended for kids age 3 and up.